When I was a child, I saw a poster on a classroom wall that showed a photograph of the Grand Canyon in America. It depicted its might and majesty, and underneath the picture it simply said “TO WONDER IS TO BEGIN TO UNDERSTAND.” Those words have stayed with me, and they are as true today as they were then. These words form a good starting point for anyone wishing to explore psychic matters, as we shall discover a little later. 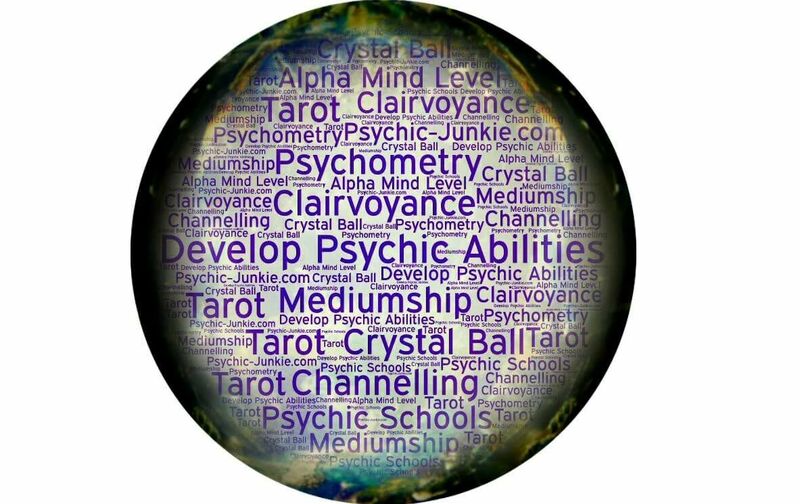 Although a lot of books have been written on the subject of developing your psychic powers, many seem to become bogged down in an array of mental exercises and complicated diagrams for the student to study. While these may suit some people, I prefer a more natural method; after all, this is a natural human talent! Take your time reading through this page, or better still print it out so that you can refer to it at leisure. Keep an open mind, and above all, enjoy your exploration! HOW DO YOU BECOME A PSYCHIC? If you are reading this, then you have already begun! The first step to waking up your psychic faculty is to admit to yourself that you have one. It takes time for the subconscious to be able to communicate with the conscious mind, and the best way to do this is to simply start thinking about it. For example, you could say to yourself, “I am psychic” on a daily basis. Try to discuss this with whoever is willing. All these thoughts have a positive effect on developing your gift. You should also try to read about the subject; again, this helps to wake things up. Knowledge will help, as you need some understanding of how things work. Adopt the policy you would take with a new hobby. Become involved in it, buy books and magazines, and look for more information on the Internet. Become familiar with various approaches and opinions, and start to develop your own ideas. Deal directly with what appeals to you, what your logic finds reasonable. Disregard what you find difficult to accept. You can always return to it at a later time. Set aside some time to practice. Calm the mind, play gentle, soothing music and try to relax. Allow your thoughts to wander. Sometimes it helps to picture a summer scene, a field or meadow with the sun shining. Remember, it is impossible to completely clear the mind, so picture this field and if a picture pops into your head, even briefly, try to work out what it was. Can you relate it to something or somebody? Do you get a feeling of a forthcoming event? Please remember you are NOT trying to contact anyone, that is mediumship. Practice can be a dreaded word that brings back thoughts of piano lessons and times tables, but it is just as important in the world of the psychic. It’s all about getting used to information coming to you from a different source. The more you practice, the easier it becomes. So what can you do? Try pausing before you do something. For example, when the phone rings, pause a few seconds before answering. Can you tell who it is? Try it when someone knocks at your front door. Try it at work. Can you tell when someone is happy, sad or preoccupied? Your mind will have become used to receiving information with your usual senses, and it will take time for it to accept this transition. You may be attracted to Tarot cards, and these will help develop your psychic awareness. Also consider psychometry, for it will give you something physical to concentrate on. You could ask close friends or relatives to let you hold an object belonging to them, such as a lighter, ring or keys. Calm your mind and while exploring the object with your hands, try to let a picture come into your mind. It may be very brief at first, but mention it to the object’s owner anyway to see if he or she can relate to it. When you do this as a beginner, the pictures you see are often very trivial. For example, it could be something they were going to buy, a favorite color or that they missed a bus and were annoyed about it. Try to find someone who can be patient and understanding, and take your time. It’s no use trying to force the information to come through. Above all, accept the fact that you are going to be wrong from time to time. The human mind has a habit of filling in the blanks when psychic intuition is not forthcoming. Also, perhaps a little confusingly, some of the information that may come through can have no bearing at the time, but come to light a few days later. One important thing: if you do see a picture or get a feeling about something, pursue it. It’s amazing how many people become satisfied with just a little bit of information when there is usually more to be had. It’s great when you get it right, but more difficult is working out why you got it right. Try to remember what it felt like as the vision came into your mind so you can recapture the feeling next time. When I use Psychometry, I close my eyes for a while, relax as if I am taking a step back from the world, and create a space for the pictures to arrive. You must find a technique that works for you. You are looking for brief pictures that seem to arrive all by themselves. These are things that you were not thinking about. If you manage to get this far, you are making good progress. It is possible, however, to pursue these images further. Ask with your mind to know more about what you are seeing. If appropriate, you will get a negative or positive feeling about what you have seen or felt. This is how psychics work. These positive/negative feelings are used to tell a client about which way they should go in a situation. Alternatively, you may just get more information about an event. If you do, tell the person you are with, but please do not try to be a counselor until you are ready. Remember, you are dealing with people’s lives and emotions.